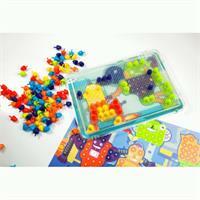 Children will love this classical peg board puzzle of mosaics that pegs colours with creativity! 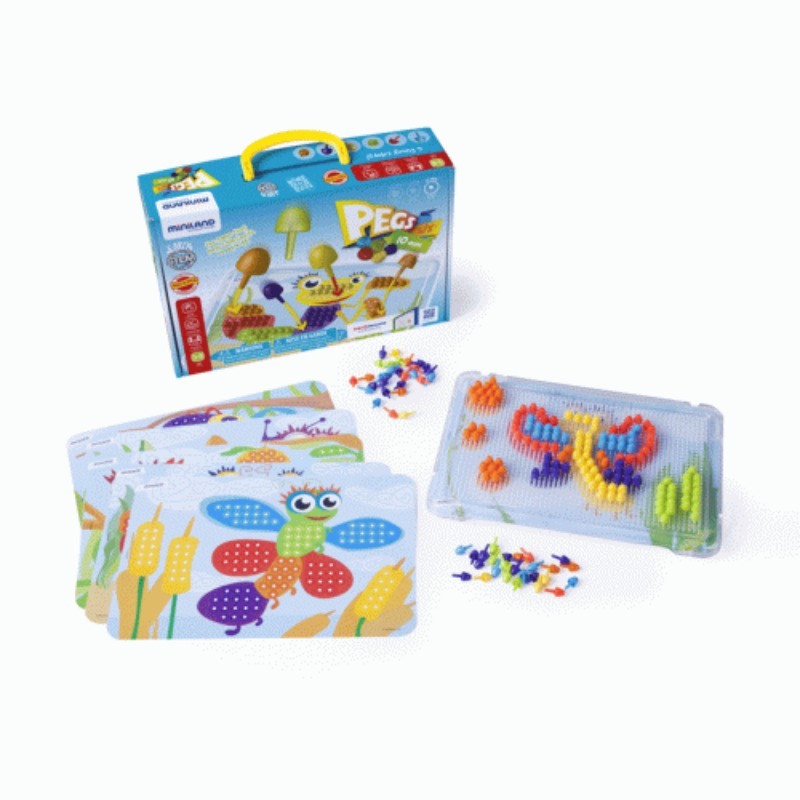 This peg puzzle, with concentration exercises and attention, allows for the development of the hand-eye co-ordination, pincer grip needed for writing skills, creativity, spatial orientation and the discrimination of colours. 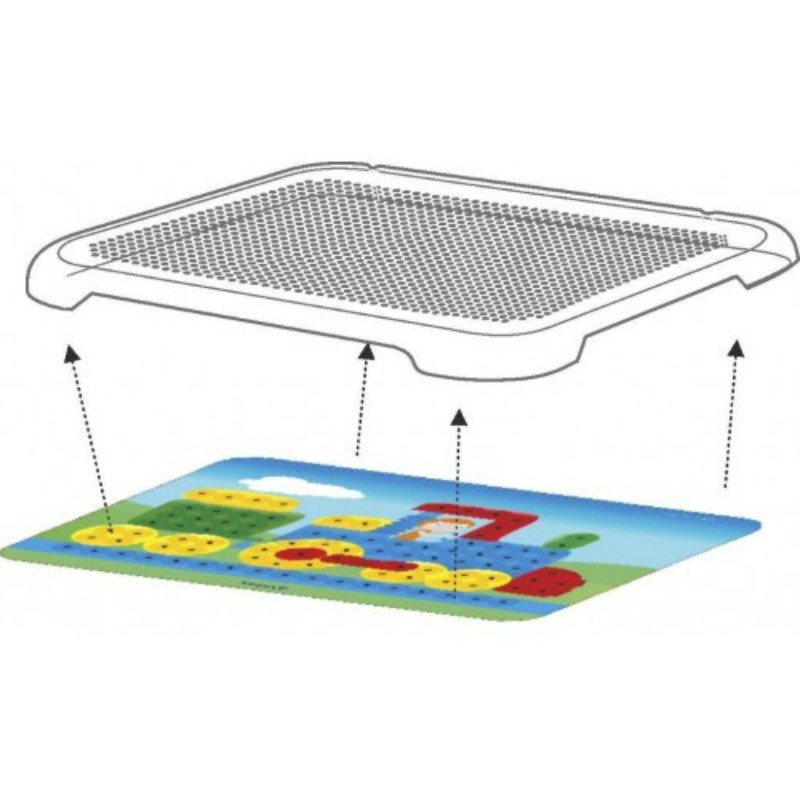 Choose a worksheet, place the transparent grid over it and start selecting the correct colour pegs to pop into the holes, to build up the picture. 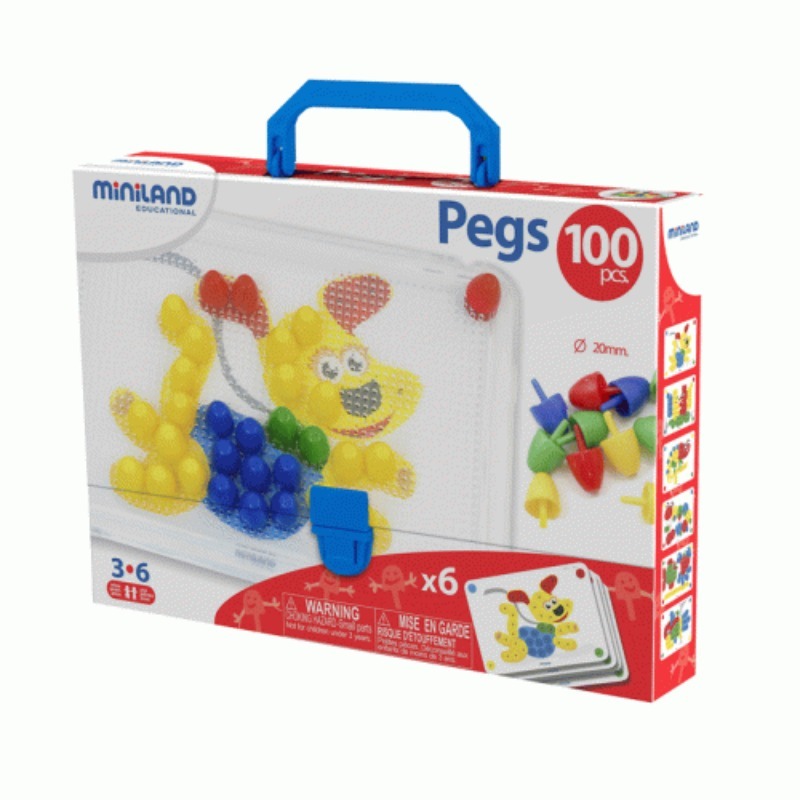 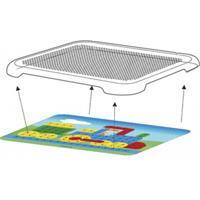 Once completed why not create your own pictures with the pegs and your imagination! 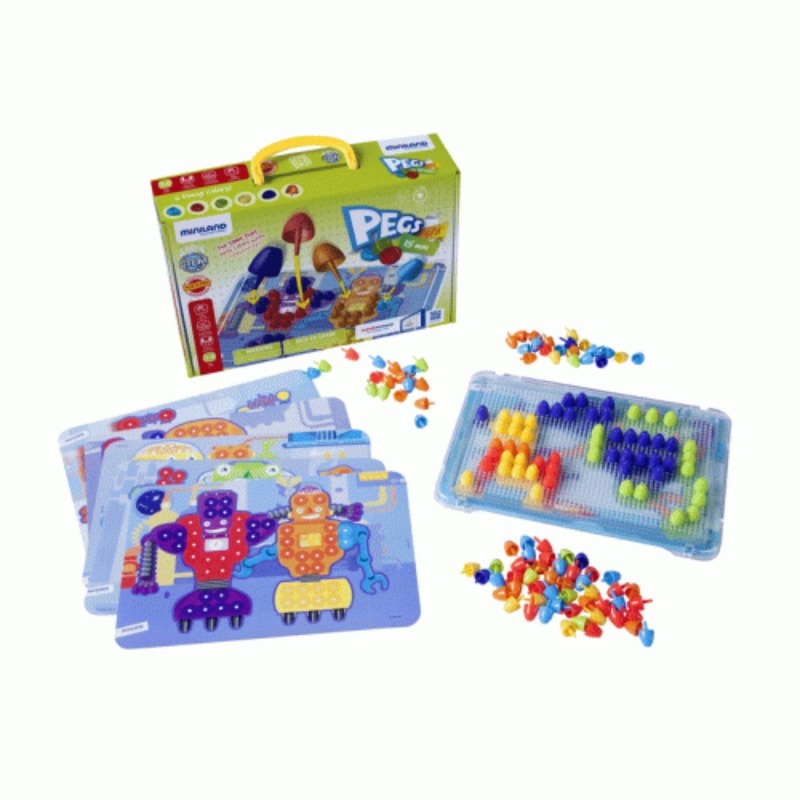 150 plastic pegs, 6 different colours.